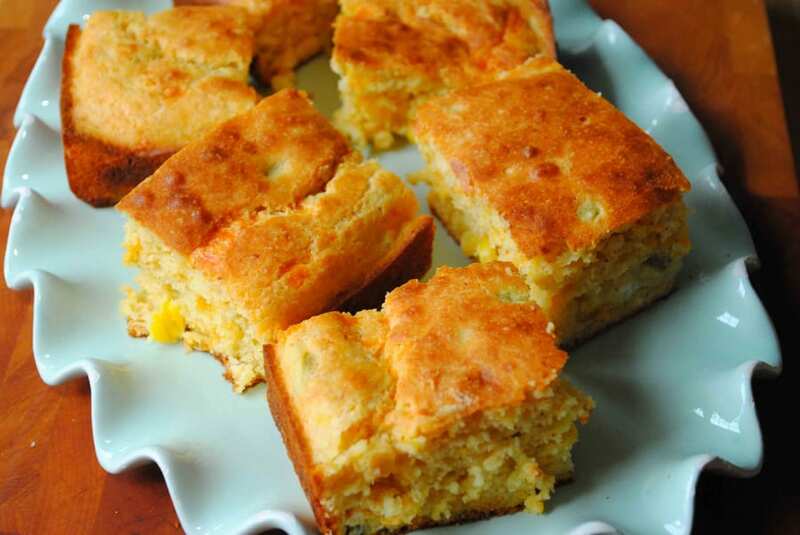 Buttermilk Cheddar Jalapeño Cornbread is so light and fluffy with a subtle hint of heat from pickled jalapeños. 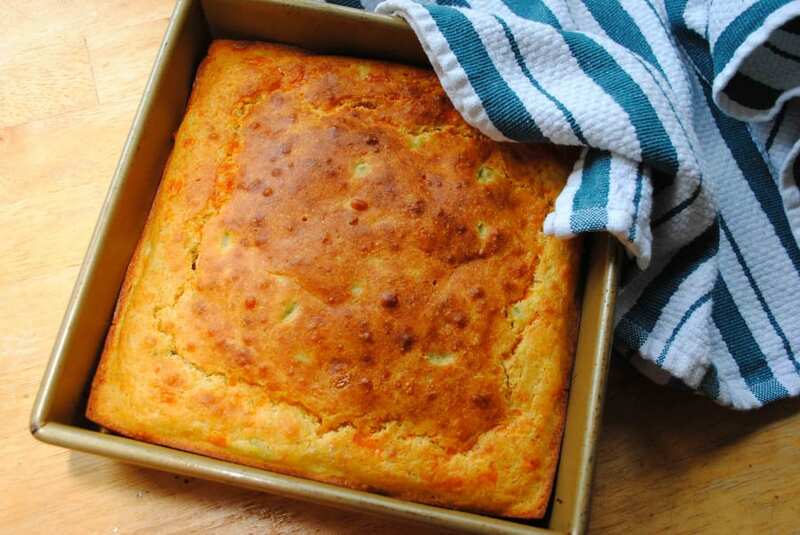 This is a super simple recipe, all the ingredients are mixed into one bowl then poured into an 8×8 inch square baking pan. 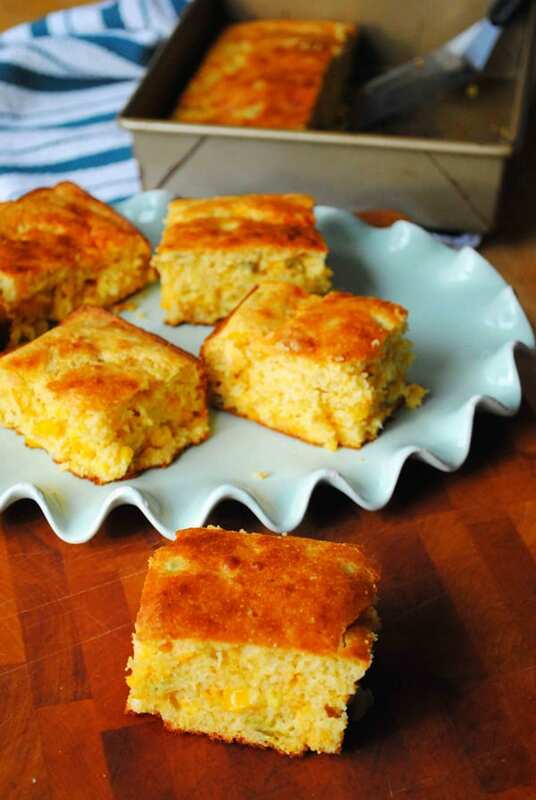 The end result is a very slightly sweet, yet savory cornbread that isn’t dense. I love snacking on this cold as well as with warm soup and chili. It’s a great side dish. In a large bowl whisk together the flour, cornmeal, sugar, salt, baking powder, and cayenne. Add in the eggs, buttermilk, melted butter, cheese, corn, and jalapeños. Stir until just combined. Pour into a greased 8x8 inch square baking pan or a 10" cast iron skillet. Bake for 35 minutes (slightly less time if you cook it in the 10" skillet) or until a toothpick inserted in the center comes out clean.